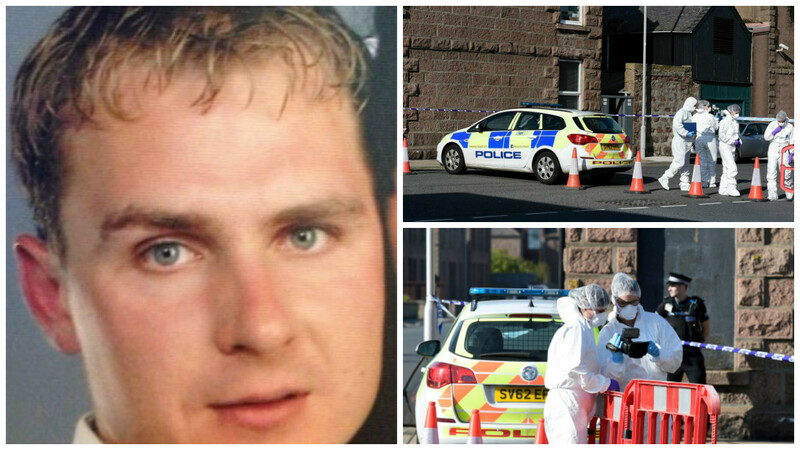 A man has gone on trial accused of murdering a Lithuanian fish worker at a flat in Peterhead and attempting to destroy vital evidence. Kestutis Butkevicius is charged with killing Martynas Krasauskas on September 27 last year. It is alleged the 45-year-old repeatedly punched Mr Krasauskas at his home in the town’s King Street before striking him with a knife. The 36-year-old later died, and it is alleged Butkevicius tried to cover up the attack. He denies the charges. As his trial got underway at the High Court in Aberdeen yesterday, he lodged a special defence of incrimination – claiming the murder had actually been carried out by Orinta Kalinauskaite, who is due to give evidence in the case. The indictment alleges after the stabbing, Butkevicius refused to get help and persuaded Ms Kalinauskaite to hide the knife used in fatal attack. The Crown claim he then moved his victim into the bathroom before going to a number of locations in Peterhead to find “materials” he could use to clean the injury. He is then said to have attempted to “cauterise” the stab wound. Court papers also state that Butkevicius later claimed to police officers that he had seen his alleged victim returning home already injured. It is alleged that by carrying out these actions he was attempting to defeat the ends of justice. Yesterday a jury of 12 women and three men were read a joint minute of agreement which was compiled between the defence and the Crown. The court heard following Mr Krasauskas’s death, forensic examiners discovered two knives near the crime scene on September 27. One knife was found underneath the radiator in the bathroom of Flat A, 71 King Street and another was found outside the flat on the road. The court also heard that when forensic examiners searched Mr Krasauskas’s home they found plasters in the bathroom as well as bloody fingerprints on the bath. A plaster was also found on Mr Krasauskas’s wound. When the accused was medically examined, police surgeons noticed he had dried blood on his foot but noted he had no obvious injuries. Following Mr Krasauskas’s death his friends paid tribute to a “lovely person” who would do a favour for anybody. It is understood Mr Krasauskas moved to the north-east from Druskininkai, in southern Lithuania, five or six years ago and worked in local fish factories and farm labouring jobs. Witnesses are expected to start giving evidence today.